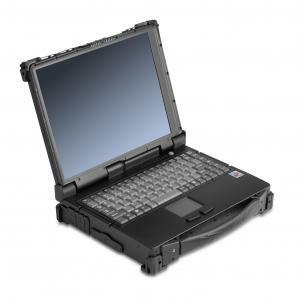 The Rocky RT9 rugged notebook gives you a tried and true form factor, high-performance computing power and the flexibility to customize all the details to meet your current needs. Its unique Flex-Bay is designed for ultimate freedom of choice. We can even carry out a special development project so you can create a truly one-of-a-kind solution. The RT9 is built from the ground up to withstand the harshest conditions over the long haul. It has a magnesium alloy casing, MIL connectors and is designed for operations down to -20 °C. This toughness has been proven on the ground time and time again with international combat forces.